Home Engineering Vortex Bladeless Wind Energy: Future of wind turbines? Vortex Bladeless is an alternative and innovative way to harness energy from wind - it could be the future of wind power generation. Generating green energy is one of the major problems of this age. All over the world, inventors have strived to harness solar and wind energy but the efficiency leaves much to be desired. The Vortex Bladeless windmill is a revolutionary technology that promises to change the discourse surrounding renewable energy. 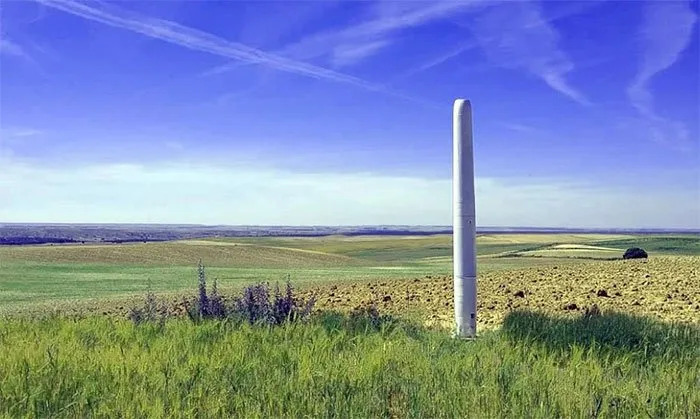 The windmill is designed like a micro wind turbine that looks just like any other pole stuck in the ground. Free from the giant blades that are typical of conventional windmills, this windmill operates using the vortex shedding effect. In essence, it is capable of harvesting energy from the wind in an efficient and safe manner. Vortex bladeless windmill is designed to harness the energy from pockets of whirlwinds that are naturally generated in nature as the wind bypasses a fixed structure. These whirlwinds are ubiquitous but due to their relatively small nature, they are hardly detectable. The small nature also makes it difficult to trap. Structural engineers have always designed structures that avoid or resist these whirlwinds. However, vortex bladeless windmill is designed to maximize the resulting oscillation and capture the energy therein. The energy captured is significant enough to be converted to electricity, providing a nice alternative for a greener on-site generation. What makes Vortex Bladeless Windmill better? Vortex Bladeless Windmill possesses clear advantages over conventional windmills. The first on the list is its ability to function well in regions with moderate to low wind speeds. Conventional windmills require high wind speeds and this is a major limitation to their application. Furthermore, the energy generated from a bladeless windmill is much cheaper than energy generated from conventional wind turbines. Estimates show that bladeless turbines would generate the same amount of energy at 45% less cost. The absence of giant moving parts eliminates the need for lubrication, and also reduces maintenance cost. The Vortex Bladeless Windmill also requires less space and does not pose a threat to birds or other flying animals. When you combine these features with the lightweight and need for minimal raw materials, you’ll understand why the Vortex Bladeless Windmill is the next big thing in the world of renewable energy. What are some of the possible shortcomings? There are concerns over the amount of energy that such a tiny device can possibly generate. While it remains to be seen, experts are skeptical that it can only prove useful for small scale applications as the amount of wind it can harness to generate energy seems limited. There are also concerns over its performance in areas of high wind speeds. It appears that the device is designed to maintain oscillation at relatively stable wind speeds. Even in the absence of visible moving parts, the Vortex bladeless windmill may prove noisier than conventional windmills. The fact remains that oscillating poles creak at a more piercing tone than the swoosh of blade turbines. The only solution is that the manufacturers should incorporate some noise reduction technology in the design. Surprisingly, the official website is silent about the device’s noise potential. The company announced via the official website that they are already in the process of developing their first commercial product. The device is projected to reach the European market in 2020. You can visit the official website for more information and updates.